Explore Hueco Mundo, the Soul Society, and other iconic locations in the anime/manga. Bleach is one of the most iconic anime/manga back in the day. After all, it’s still considered to be part of the big three with One Piece and Naruto, despite the abrupt end to its story. If you’re one of the fans of this Tite Kubo’s masterpiece, playing Bleach Mobile 3D will help you experience the story all over again. In a nutshell, this action MMO will let you recruit and play as different characters from the series while fighting hollows - and other characters - in fast-paced battles. Though the core gameplay is fantastic, it suffers from a few issues which break the immersion and makes certain parts of the game hard to play through. In your case though, should you give it a try? Bleach Mobile 3D’s story follows the original story in the manga, starting with the chance encounter between Ichigo Kurosaki, a high school student with an interesting ancestry, and Rukia Kuchiki, a Soul Reaper. In a nutshell, Soul Reapers are tasked to defend the human and spirit world from hollows, souls that do not pass on to the Soul Society and become corrupted and feed on other souls. It’s a lot to take in for a newcomer, but in any case, Bleach’s tale is one with a lot of plot twists and jargon and a ton of interesting characters. Nevertheless, it’s something you’d want to dive into. 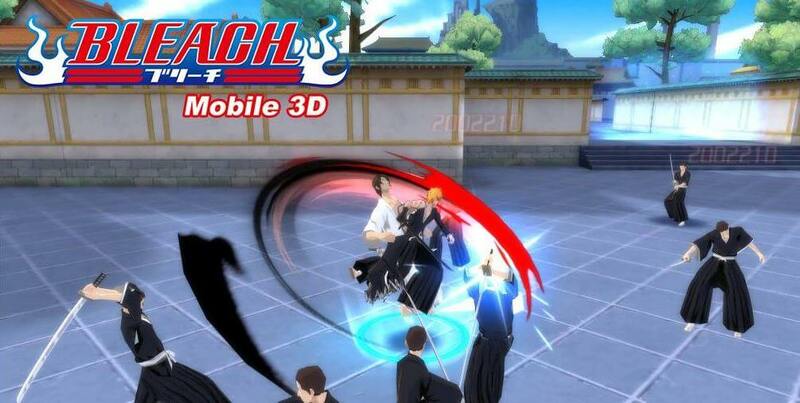 Bleach Mobile 3D’s gameplay is akin to a typical action MMO. 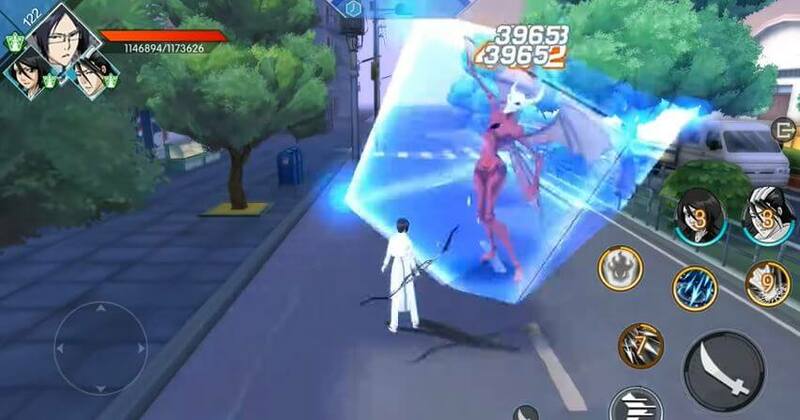 You will move around its world, seeing other players in their avatars (in the form of Bleach characters like Ichigo) going about their business. To activate and enter quests, you have to talk to NPCs scattered across the game world. These quests (both main and side) are basically levels wherein you fight mobs of hollows capped off with a boss fight at the end. There’s a nifty auto-quest mechanic, so you won’t have to wander around looking for NPCs. The controls are relatively simple and are similar to most ARPGs. You’ll move around using a virtual joystick and attack using the attack and skill buttons on the right side of the screen. Each character has a different playstyle. 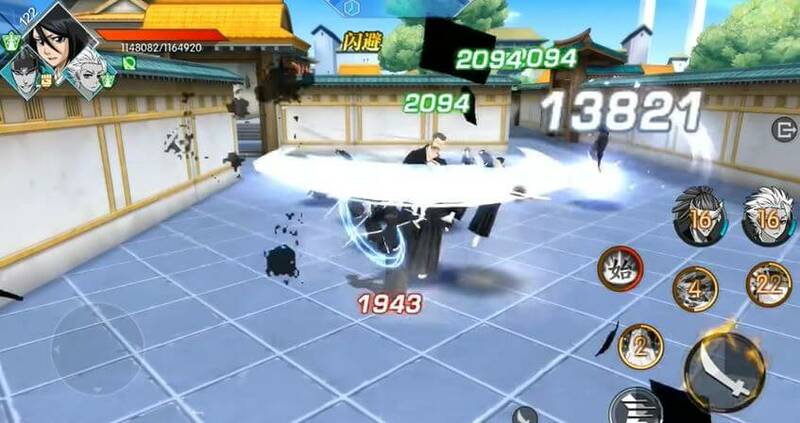 For example, Ichigo is more of a direct damage dealer while Sado focuses on AoE damage. The game features a robust character equipment and progression system. However, since it’s a freemium game, there are a lot of microtransaction options and progression will be trickier when you reach higher levels. Bleach Mobile 3D looks fantastic on a mobile device. It’s safe to say that it’s one of the most graphically outstanding RPGs today. Unfortunately, it suffers from poor localization. The dialogue is borderline cringeworthy and it feels like the developers copied and pasted it directly from a translator without editing anything. It breaks the immersion, even if the game is accompanied by some of the original voice actors. Overall, Bleach Mobile 3D is a game you should definitely get your hands on, regardless if you’re a fan of the series or not. Though the story will be hard to follow for newcomers (partly due to the broken dialogue), the action-RPG elements are refined and the game absolutely looks great. So, start your journey as Ichigo and starting taking out hollows!